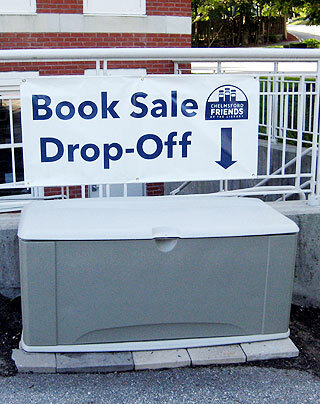 The Friends of the Library Book Sale is a significant source of funding for library programming, museum passes and many extras for Chelmsford patrons. The community’s support through donations and volunteer hours is greatly appreciated. Donate Your Books and Other Items! The Friends seek books of all kinds in good condition including recent best sellers, fiction, non-fiction, children’s books, paperbacks – as well as audiobooks, DVDs, CDs, maps, and local interest items. The Friends cannot accept the above items. Note: They can be recycled curbside if you first remove the covers. And a variety of children’s activities that have included puppeteers, magicians, science programs, storytellers, musicians and more, at both the Anna C. MacKay Branch and Main Library!